New Delhi: The Indian Premier League (IPL) 2018 schedule has been announced. Comeback giants Chennai Super Kings will take on holders Mumbai Indians to kick-start the IPL 2018, which has retained its earlier match timings, weeks after considering broadcaster’s request for a change in schedule. 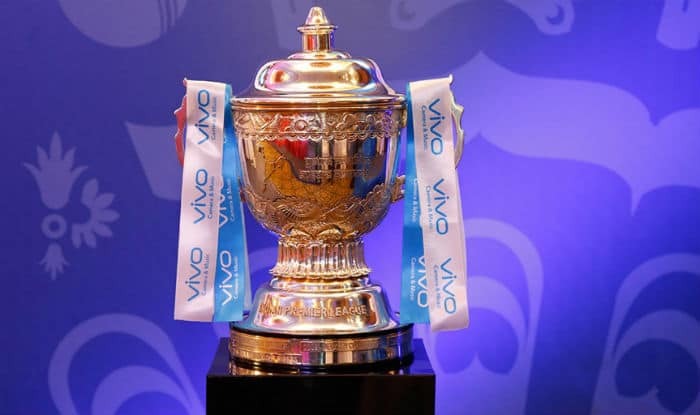 The first match on April 7 will be held at the Wankhede Stadium in Mumbai, which will also see the return of two-time winners CSK from a two-year ban owing to involvement in corruption. The venues for eliminator and qualifier 2 have not been confirmed yet while the qualifier 1 and the final will be played at the Wankhede Stadium in Mumbai on May 22 and 27 respectively. As per the fixtures posted on the IPL website today, there will be 48 evening matches and 12 afternoon starts. The doubleheaders timings remained unchanged, while the opening ceremony will take place in Mumbai on April 6. The IPL governing council had last month accepted the broadcaster Star Sports’ request to shift the timings of the matches. The broadcaster had recommended that the second match of the day start at 7pm instead of the earlier 8pm, while pushing 4pm match to a 5.30pm start. However, a section of franchises who are 50 percent stakeholders in the IPL revenue model, expressed their grievances with the change in timings as it was done without consulting them. An early start would have meant an early conclusion to the matches in the night, ensuring prime time coverage. Public transport and players reaching their hotels late into the night were the other reasons for considering changes in the match timings. Though the BCCI has maintained the status quo as far as match timings are concerned, some franchises are still pushing for a 3.30 pm and 7 pm start to the games, along with the broadcaster. In its 11th year, the tournament’s first doubleheaders will be held on April 8, with Delhi Daredevils hosting Kings XI Punjab and Kolkata Knight Riders facing Royal Challengers Bangalore at home. Rajasthan Royals, also coming into the fold after a two-year suspension, will open their campaign Sunrisers Hyderabad in the Telangana capital on April 9.